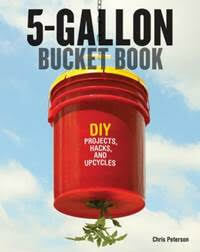 The ubiquitous five-gallon bucket can do more than carry things! It can also be hacked, hot-rodded, reengineered, and upcycled to create dozens of useful DIY projects for homeowners, gardeners, and hobbyists. Each project has simple step-by-step instructions, as well as parts lists and images of the completed projects. The wealth of projects collected in this book includes inventions that range from useful to just plain fun, and from as simple as it gets to fairly involved. These can serve apartment dwellers (Small-Room Air Conditioner, page 12); homeowners (Cyclone Dust Collector, page 34) and their children (Air Cannon, page 94); small farmers (Chicken Feeder, page 72); hobbyists (Post-Mounted Birdhouse, page 137); and even back-to-the-land homesteaders and survivalists (Camping and Composting Toilet, page 48). The odds are good you’ll find something to make that’s fun and handy! Available for purchase at Quarto and retails for $19.95. It is also available at Amazon.com in paperback or for Kindle. Why not just use a blank notebook? 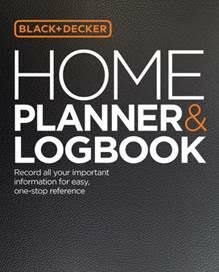 Because the Black & Decker Home Planner & Logbook is full of photos, illustrations, and tips to help you decode every system in your house, such as how to read a water meter or estimate the shelf life of paint. The book is organized in four segments. The first three, “Understanding Your Home”, “Your Home’s Systems”, and “Your Appliances” gives a tour of the various components and systems of a home that need ongoing vigilance, inspection and maintenance. These are organized with intuitive logic, starting from the roof, moving down to the foundations and landscape, then moving indoors to examine the structural and surface elements, like walls and floors, and examining the appliances and other add-ons. The fourth section, “Home Logbook” is the journal itself, where the homeowner can document everything that has been done to the home, or who to call when your home needs attention. Preview the book here: http://bit.ly/1FxvmWT Available for purchase at Quarto and retails for $24.99. Also available on Amazon.com in Flexbound. 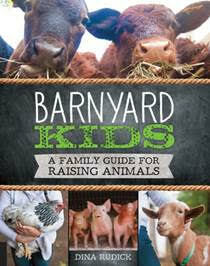 Preview the book here: http://bit.ly/BarnyardKidsPDF Available for purchase at Quarto and retails for $24.99. Also available at Amazon.com in Flexbound and for Kindle.